EDWARD DOLLARis a Senior Attorney with Homan & Stone. For the last 26 years he has practiced in the area of civil litigation representing both defendants and plaintiffs. The breadth of his practice covers automobile liability, premises liability, product liability and construction defect, personal injury, and wrongful death. Ed is also experienced in business litigation, fire litigation, insurance coverage and maritime cases. He has successfully represented clients in trial, mediation and arbitration. 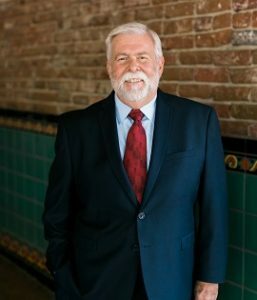 Mr. Dollar has served as an ADR Neutral, Mediator, Arbitrator and Judge Pro tem for the Los Angeles County Superior Court. His previous employment was that of a Manufacturing Project Engineer with Borg-Warner Corporation’s Chemical and Plastics Group where he was responsible for the design and construction of plastic and chemical processing domestically and internationally. University of Metaphysical Sciences, BSMscs.